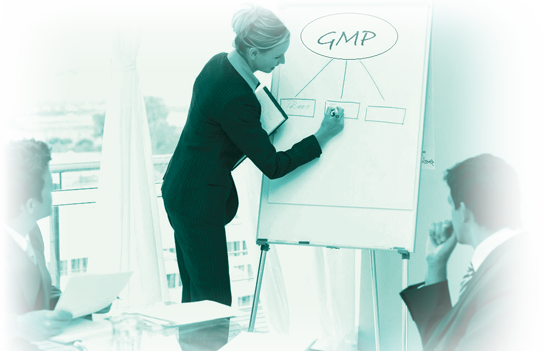 The 1MP service provides the package of documents to create a proper QMS, including SOPs (Standard Operative Procedure), VMP (Validation Master Plan), SMF (Site Master File), templates for job descriptions, organisation chart, etc., as described in the GMP. “The holder of a Manufacturing Authorisation must manufacture medicinal products so as to ensure that they are fit for their intended use, comply with the requirements of the Marketing Authorisation or clinical Trial Authorisation, as appropriate, and do not place patients at risk due to inadequate safety, quality or efficacy. […] To achieve this quality objective reliably there must be a comprehensively designed and correctly implemented Pharmaceutical Quality Assurance System, incorporating Good Manufacturing Practice and Quality Risk Management”. “The manufacturer should provide training for all the personnel whose duties take them into production and storage areas or into control laboratories (including the technical, maintenance and cleaning personnel), and for other personnel whose activities could affect the quality of the product. Besides the basic training on the theory and practice of GMP, newly recruited personnel should receive training appropriate to the duties assigned to them. Continuing training should also be given, and its practical effectiveness should be periodically assessed”. Theoretical and practical training on several topics in order to develop skills in radiopharmaceutical preparation according to GMP. One objective of training is to improve the ability to work towards constructing a GMP Quality System, having acquired knowledge of the regulations and having learned how they have to be applied.